Undebt.it helps you pay off your debts so you can finally do what you want with your money. Live debt free! 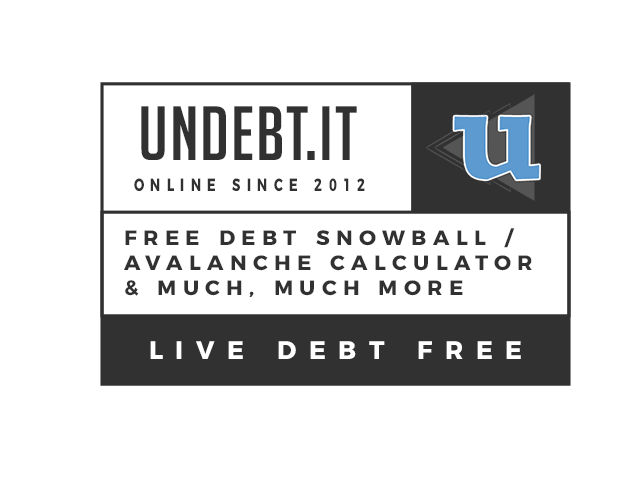 Undebt.it is a free, mobile-friendly debt snowball calculator that generates an easy-to-follow payment plan - so you can finally eliminate your debt. Undebt.it has 7(!) different accelerated debt payoff methods to choose from (including your own custom plan). The two most popular plans are paying down the debts with the lowest balance first (AKA the "Debt Snowball") and paying down accounts with the highest interest rate first (AKA the "Debt Avalanche"). Choose which one works best for you and switch between them at any time. Just plug in your basic debt account information and Undebt.it will take care of the rest. I just have to say THANK YOU for this amazing site. It is beautiful and very intuitive to use, and after my bank's app it is probably the website I use most in our debt-free journey. Great, incredible, amazing work. Thank you! I just want to tell you this is the best money management site ever, I have done all of them YNAB, mvelopes, quicken, Dave Ramsey. Yours is the easiest to understand, and work with. GREAT JOB! And a whole heck of a lot more! Undebt.it makes it easy to see when each of your debts will be paid off - and proves how effective the debt snowball payment method really is. You can even add additional one-off payments (AKA "Debt Snowflakes") to your snowball to speed up the process! As you record your payments, your debt balances, due dates and payoff dates will automatically be adjusted. LOVE the new format......thanks for helping others to be debt free!!! Create a one-off debt payment plan using either the Debt Snowball, the Debt Avalanche or three other payoff methods. Just plug in your basic debt info and see what your payment plan looks like. There's no account required to use the calculator, but you'll have the option to create one after your plan is calculated. Are you looking for advanced features too? Undebt.it has plenty of those to choose from. If you really want to get in control of your debt, you've come to the right place. Undebt.it has tons of advanced debt management features that you'll only find here on this site. 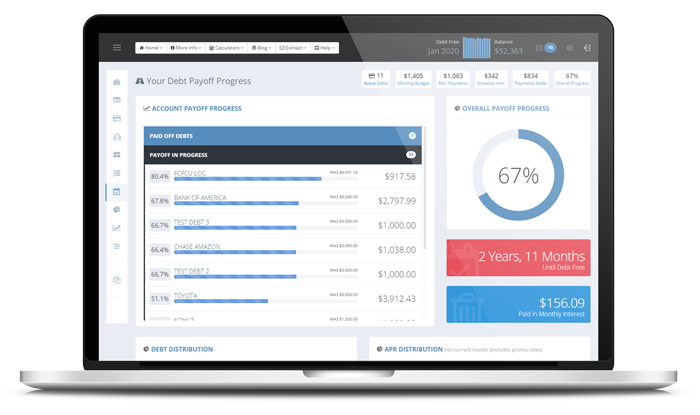 You can manage your recurring non-debt accounts (like cell phone bills) with the bill management module and even take the 52-week savings challenge. Destroy your debt with the debt blaster payment enhancement plan. Always know where you stand with your payment plan by using Google/iCloud/Outlook calendar syncing. Undebt.it can even sync your account info with YNAB.